Are YOU ready to live an effortless & limitless life now? Welcome to this sacred space of unity, love, joy and abundance… for you to relax into, feel your senses, heart and mind opening up and be aware of the response from the Master, the Creator, the Divine One who lives within… and listens to this introduction about me and my message. IAM Barbara, a passionate writer, blogger and advocate… creating awareness of the Evolution of Consciousness… that we are all orchestrating and changing the world with each breath we breathe and returning to our multi-dimensional existence. In my own search of discovering who IAM and what life is all about, I have talked to many people and read many esoteric books in the hope of solving the mystery… but it wasn’t until I met my dutch teacher in the mid 90’s, who helped me understand how everything is ENERGY and how it serves Consciousness. How IAM a being of Consciousness and have the power to dismantle everything that doesn’t serve me… all my old patterns, programmes and beliefs that I had taken on as my own from family, teachers, friends AND reveal my own truth… of how IAM free to choose in each moment, depending how I feel, what I want to experience. WOW… such a revelation and contrary to everything society still teaches today. Quite purposely, I have never joined any religious, spiritual or human practice that teaches techniques offering wellness and healing… because they can only form new patterns and beliefs AND keep the Human-MIND in the game of duality of being well/unwell and powerful/Powerless. Don’t get me wrong… every priest, teacher, healer and coach has a unique place in the big scheme of experience and are here to help the people who seem to want to ‘remain asleep’ and continue experiencing duality in the Human game of success and failure. IAM here to help the ones who are naturally waking up out of their long sleep… and feeling the gentle stir from deep within… the Master, the Creator, the Divine One who is ready to embody the Human Body/Mind and go beyond everything known on a new adventure to experience unity, love, joy and abundance on the physical plane. I have written my Awakening Story, Your Magnificent Self… A Journey to Freedom discovering who IAM and what life is all about and sharing my vision of New Earth… to help inspire hearts to open and realise their own truth. There is nothing more to learn, fix or do… ONLY… remember who you are and what life is all about AND be aware of how you are naturally evolving; clearing old patterns/beliefs that no longer serve you, integrating Body, Mind, Spirit & Aspects AND realise YOU can choose in each moment how you want to express your unique, sovereign & magnificent self. It is an intense period of 35 days in which to dedicate YOU to YOURSELF. Diving deep within to remember: Your connection to source… your origin… How Energy and Consciousness works… to explore, discover and express: Your movement through dance… Your voice through writing & singing… Your beingness through acting… Discovering the unknown/your potential through painting… and creative pursuits you enjoy. AND allowing yourself to be the magic ingredient in charge of living an Embodied and Enlightened life. Each day you look deeply at yourself, complete homework and prepare for a weekly group class. A wonderful opportunity for you to step into your power and take the leading role on life’s stage as Your Magnificent Self. When you are identified with what is out there, on how you look, how you can fit in, be accepted and successful, the heart remains closed to the part of you that waits for your attention and recognition. Only when YOU allow yourself to be a priority, to care and pay attention to yourself, to love All of yourself; the darkness & light… can you begin to FEEL the infinite aliveness that resides within. This first act focus’s on being aware of All of Yourself and allowing yourself to surrender, to trust completely your consciousness, your Divine self who waits patiently to guide you further on a most wonderful adventure beyond everything known. Inner journey’s and Dance is used to help you feel into All of Yourself and become mindful of All that you truly are. When you are not aware of how energy works and how energy serves consciousness, it leaves you feeling powerless, separate and afraid of annihilation. On the other hand when you take the time to understand how energy works and how each person is a unique part of existence, creating and living their own sovereign life… you can allow yourself to honour All of life and dive deeper within yourself. To be witness to the natural integration and transformation of the Human AND allowing the DivineHuman to birth self anew. Inner journey’s and Song/Music is used to help you open up more to yourself and allow you to move blocked energy and express self anew. When you only focus on circumstances and the knowingness of others, you remain in the ‘illusion of separation’ and feel alone, lost and powerless. Immersing yourself within, fusing together with your Divine self allows you to feel the unity you are part of, to feel into your innate wisdom that allows you to fully express your Grandness, Vibrancy, Magnificence & true Power. Inner journey’s and Acting is used to feel into the knowing of your true essence. When you remain attached to everything, you cannot see how life flows and your part in it all. Only when you detach yourself from everything, can you take responsibility for the flow you truly are AND allow yourself to be playful and have fun discovering new potential and experiencing true freedom. 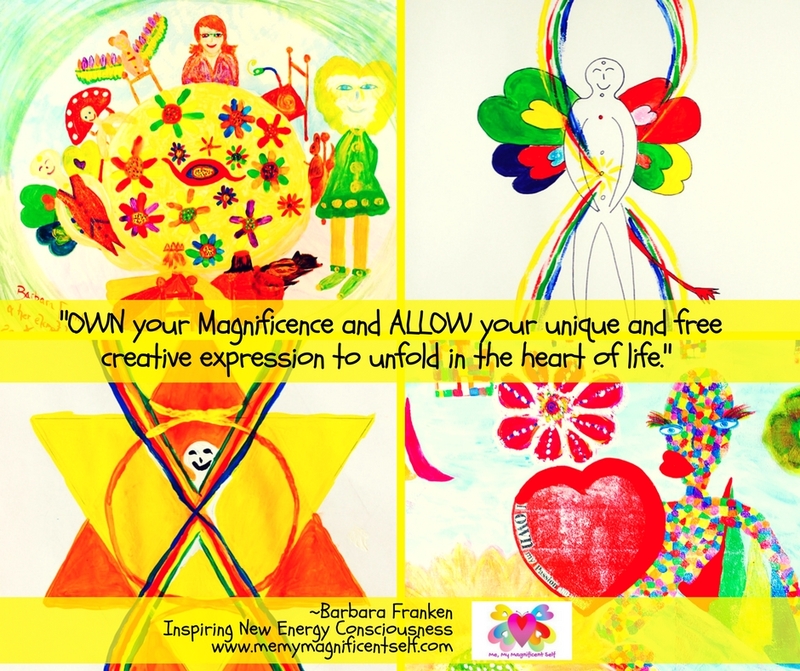 Inner journey’s and Art is used to help you open up to the unknown. You allow yourself to embody everything… the vulnerable Human, the powerful Divine and everything you’ve ever been, fully opening up to YOU and bringing in your Grand Dream of living a life of Celebration and experiencing Love, Joy & Harmony with All. You remember how essential it is to LOVE yourself First and spend quality Quiet Me-Time sinking into the depths of yourself, getting to know All parts of You… Body, Mind, Spirit and Aspects. You become your own best friend and allow yourself to become conscious of everything… what you like and don’t like, what and who serves you and doesn’t, what keeps you excited and feeling great. You realise it is your Human Body/Mind’s responsibility to be aware of everything you are and experience and surrender to and trust your Divinity, who is responsible for your integration with all of yourself and take you beyond on a most magical journey. You realise you can never go back to living in the old ways of duality… relying on others to make you feel good and powerful, although your doubts and judgments try and bring you back into drama, but you know how to smile and be grateful for everything you are and listen careful to yourself. Oh why did I wait so long! You take a look at the ‘bigger picture’ of your own past/present/future and life outside you that allows you to perceive how energy dynamics flow and create life’s beautiful magical tapestry. You realise how everyone’s equal and unique part in life, is a journey to realisation and to be honoured and respected. This encourages you to open up to all your own darkness and light, welcoming back to the mother ship all your wounded and broken aspects that need to be embraced and be part of the next adventure beyond. You realise everything is energy and serves you, and move any stuck energy through your Body/Mind… that is mostly fear and based on the denial of self and a belief in lack, that is not real or true. This allows your vessel to remain empty to receive new potential and ensure you’re not tempted back to play the game. You remember the times you felt alone, lost and helpless and allow your own sovereign loving presence to console you and show you all your answers you may need in each moment. As you resonate with your knowingness, it fills you with much joy that allows you to fully focus on being Grand, Vibrant, Infinite, Divine, Magnificent and All Powerful and able to create… quite magically your heart and soul desires. You realise how essential it is to be aware and feel into your own inner knowing. Nobody knows how you feel, what you dream of or desire and most of all what brings you the greatest excitement. As you dive deeper into the core of YOU… you recognise a new playfulness and aliveness that is naturally transforming your deepest fears and pains. You feel the deepest joy, an inner passion that allows you to create and experience your grandest dream. You realise that many people out there will tell you about discovering the unknown… for a high price too, but what you discover ensures your free passage beyond the known and into a space where you experience true freedom. As you commit to and celebrate your new role as MasterCreator and the natural transformation happening within you… your NEW feeling of joy and freedom expands in quite a miraculous way. It brings in unimaginable magical potential for you to live the life you were born to live and radiate your light which in turn inspires All Humanity to open up and shine their own light. You realise that all your Human experience, the good and not so good has prepared you to quantum leap into your new adventure you create in each moment. 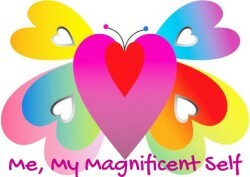 The Magnificent Consciousness raises money from my books and classes to help inspire others through creative expression to explore, discover and express the magnificent Consciousness each person truly is and their unique space in the heart of life. Oh Barbara! Come over to my blog and guest post about this one – I’d love it if you would <3 Congratulations on this amazing venture! Yes it is amazing and Thankyou for resonating with it… I’d be delighted to, how shall we go about it… ?